Snap Open Frames: These pavement signs in stock and ready to be shipped out! These pavement signs make very effective sidewalk signs. 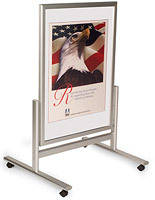 The pavement signs poster frames display graphics up to 23-3/8" x 33-1/16". These pavement signs are very attractive poster frames. With beautiful satin aluminum sign frames, these pavement signs replace heavier pavement signs such as "A" frame sidewalk signs, lobby signs and sandwich boards. The sign frames are viewable from two sides. 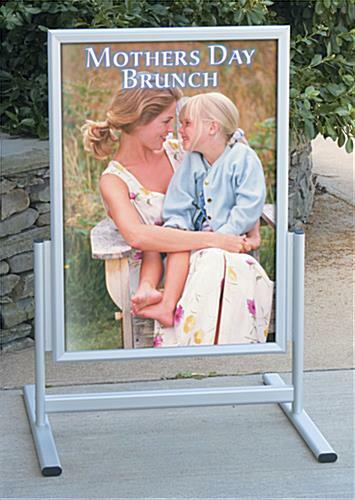 These pavement signs like menu boards and sidewalk signs are great enticements for spur of the moment sales. 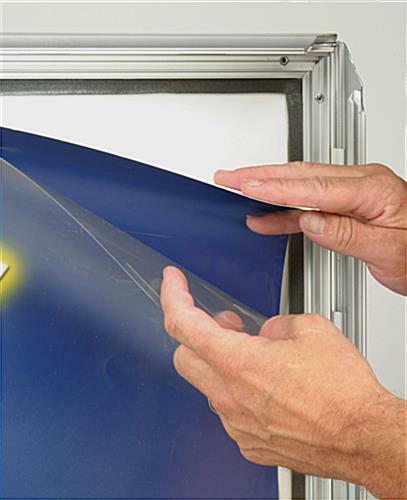 The pavement signs feature rounded corners, snap frame technology and clean satin finish. 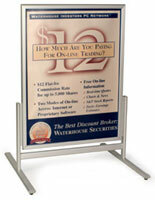 With elegant styling and rugged construction these pavement signs are a sure bet to catch your customer's eye. 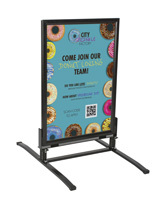 Double sided with snap frames, these pavement signs are like sharp looking "A" frame sidewalk signs or menu boards drawing clientele into your business establishment. 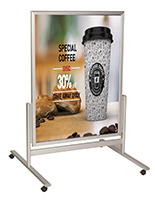 With easy to open and close snap frames and non-glare lenses protecting your graphics, the pavement signs help keep your advertising signage current. 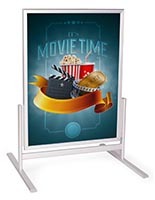 These upscale pavement signs used as lobby signs, sidewalk signs or movie poster frames are sure to add elegance to your sales environment at a bargain price.